10) For an extra $5, he'd wear only the turtleneck. 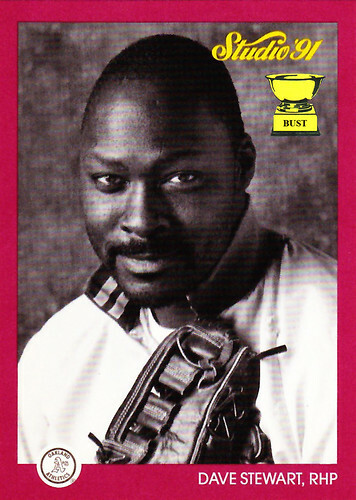 9) He would spend his days on the ball field, but his nights would be at The Blue Oyster. 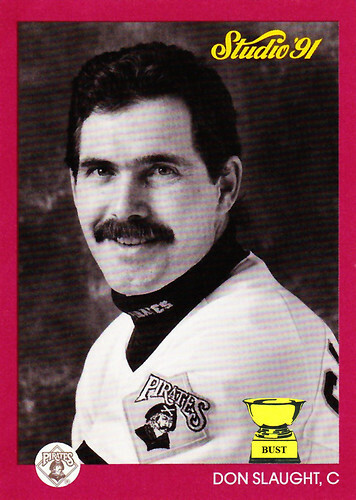 8) He would call his mustache "Davy Jones' Locker." 7) His hairy legs would look amazing under a spandex miniskirt and knee-high boots. 6) After years on the streets, he'd have an unmentionable peg body part. 5) He would dress like his team's mascot and strut down The Strip. 4) He would have a Friday night "battery mate" special. 3) Despite his profession, he'd have a heart of gold. 2) He would own a parrot. A naked one. 1) Catching? he would ask. How much? San Francisco 49ers' scouting report on "first-rounder" Bryant Young: "Says here we drafted this kid solely based on his thighs; smart move. ... Plus: He has the ability to float. 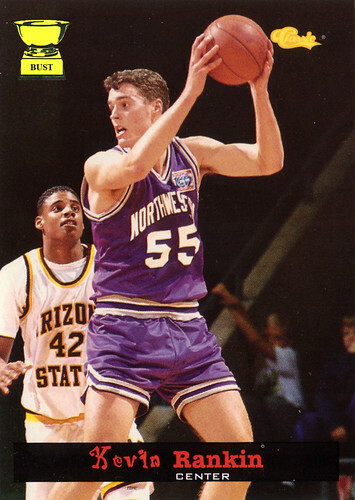 ... We can have him stretch out all our players' little girl short-shorts. 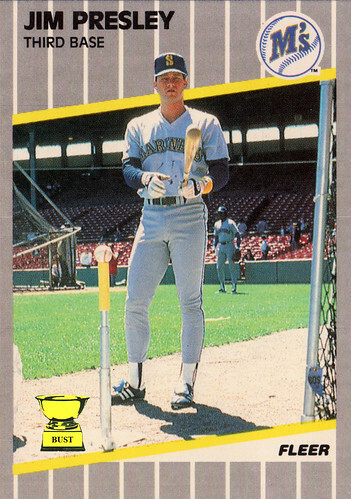 ... For some reason, I can see Young wearing a gold-leaf helmet that says '94 Fleer Ultra.' ... We'll need to buy a few hundred pencils so this kid can write in his mustache. ... Someone will need to rescue him from 'Tron' world before the season. ... Anyone tell him he needs to wear cleats, not basketball shoes? ... This kid's biggest quality: With that aura around him, he's apparently a celestial being. ... Yeah, nothing like the convergence of sweat stains, skintight shorts and bulge." North-of-the-border quiz time: Who's the real superstar on this card? E) The Bust Trophy. We're No. 1! We're No. 1! 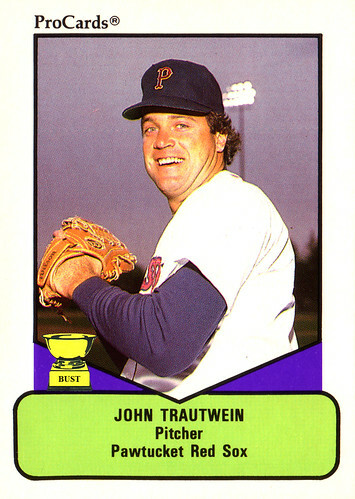 Boston Red Sox officials' scouting report on Pawtucket Red Sox pitcher John Trautwein: "Twenty-two years ago, when this guy was 21, he still didn't have a chance. 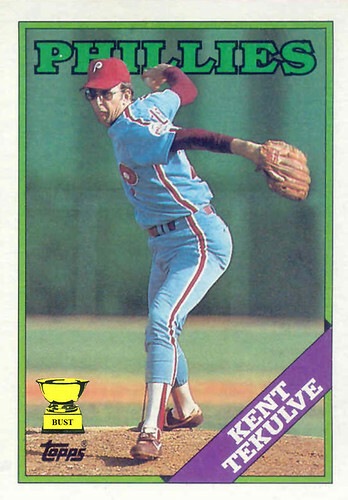 ... Trautwein's mullet is older than half the players in our farm system. ... No, no, no. I said this guy's play makes me want to use THE john. 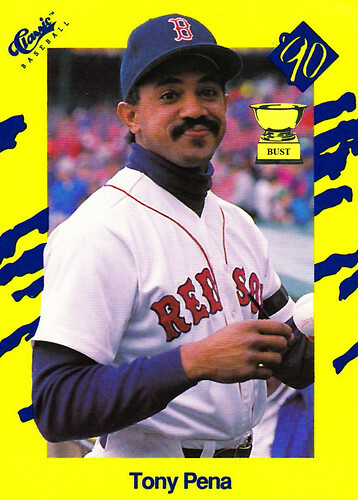 ... Somebody let this guy know he should buy property in Pawtucket. 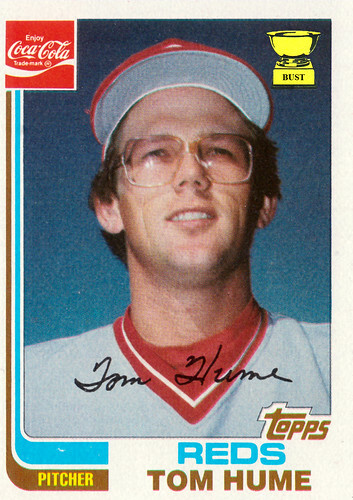 ... Biggest upside: He's the white Fernando Valenzuela. ... This guy's got the kind of smile that can light up a smoke. ... Better last name: Troutwein. 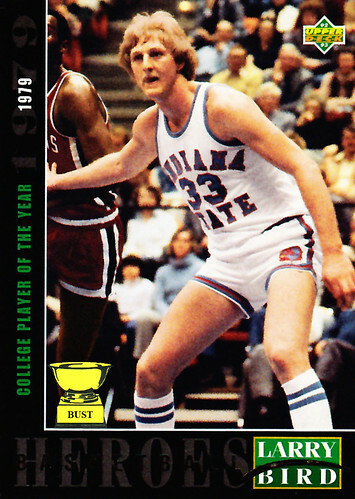 ... Who gave recent draft pick Jimmy Trautwein's dad a uniform? 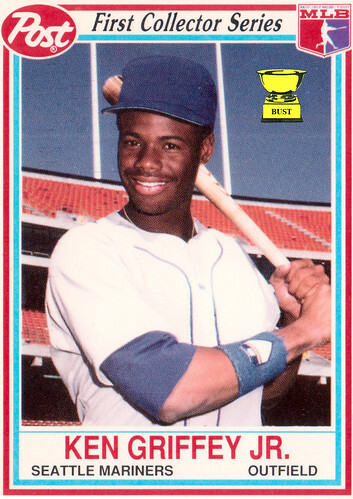 ... On the plus side, his chin folds provide plenty of hiding places for Crisco or pine tar." 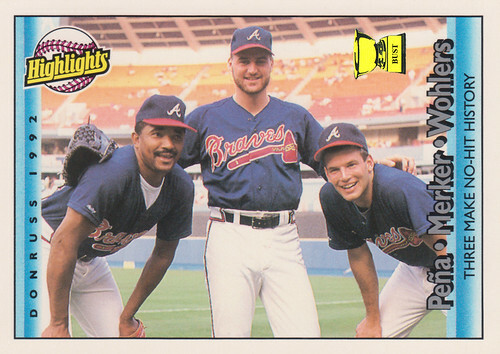 It's The Matchup: Donruss was so confused by this trio of throwers that it didn't even know how to orient their card. Let's try to make some sense out of who's who here. Synopsis: Kent Mercker actually goes the distance this time, turning his two relievers on their sides in this Matchup. Still, would it have hurt him to shave? Sheesh. 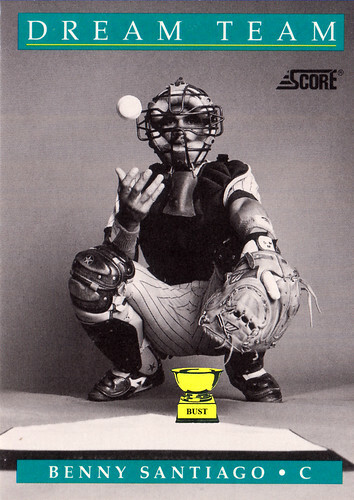 Putting the psycho in psychoanalysis: We here at the Bust were never much good at baseball. Some say we're not very good at baseball humor either. (Thanks, Mom.) So we figured we'd try our hand at a new hobby: dream analysis. Here goes nothin'. In this dream, the 5-foot-wide plate represents your chances at succeeding in life. However, Benny Santiago represents all the things preventing you from reaching that success. The fact that he's wearing a mask is symbolic of you not wanting to face your fears. The fact that he's pointing at you through his glove symbolizes that you think you have no place to feel safe. The fact that he's tossing the baseball means that you feel you don't have enough control over your life. And the fact that his crotch is wide open means that maybe you should stop staring at men's crotches, bro. Jeez. 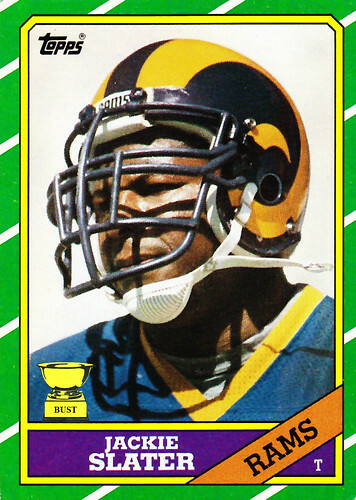 Just how big is Jackie Slater's head? (A) Zoos used the same helmet to house a family of grey wolves. (B) When he takes a shower, he has to clean off the orbiting moons. (D) His neck is earthquake retrofitted. 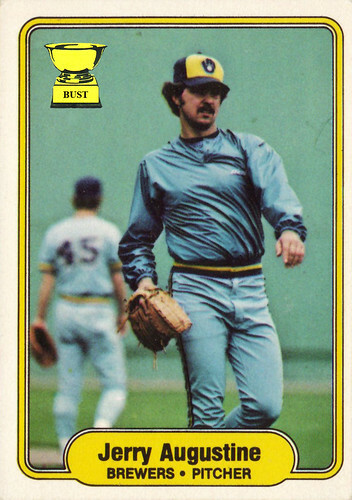 It's another installment of The Caption, which may have run in a Milwaukee-area community paper circa 1982: "Mustachioed Brewers lefty Jerry Augustine plays long toss in the midst of a rare Great Lakes hurricane, battling 120 mph winds while wearing a powder blue garbage bag with elastic cuffs sewn into it. Augustine, who hasn't cut his hair yet this decade, finished the practice session no worse for wear; his "jacket," however, was not so lucky, winding up torn to 12 pieces and plastered against the left field fence. Augustine proudly informed this newspaper that he was also about to get plastered." Oakland A's scouting report on first-round pick Mike Rossiter: "Major league? Well, he has a major-league wave. ... If he doesn't work out pitching on a mound, maybe we can have him plant a tree on one. ... On the plus side, he already has our alternative jersey for stab-out-your-eyes-with-a-rusty-screwdriver night. ... We've determined that the second chin jutting out from his regular chin will shift his weight, thus adding velocity to his fastball. 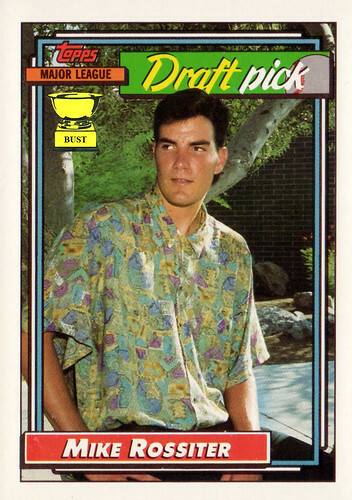 ... We drafted this kid purely based on his spread in the 1991 Sears Christmas Catalog. Smart. ... Upside: smoothest forearms in his graduating class. ... We're going to need to pound him in the side of the head a few times to set his eyes straight. ... Big-league arm? We might be 'barking' up the wrong tree." 10) Off the court, this Bird always wore feathers. 9) No other all-Americans' mamas' made their uniforms. 8) He mixed thighs and white meat. 7) He rocked Starter jackets like no one's business. 6) He finished his outfit with on-the-court roller skates. 5) Socks on his legs and in his shorts. 4) Women in the early 1980s began lusting over knobby knees. 3) He patented the "bucket cut" when the bowl cut just wasn't enough. 2) He made it acceptable to flaunt an invisible mustache. 1) Pale became the new black. 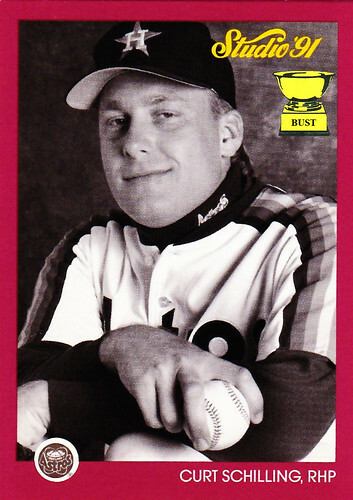 Lies, damned lies and Baseball Card Bust: Which of the following is surprisingly true? 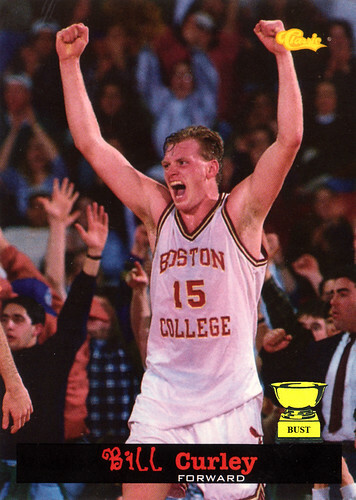 Photographer's best friend: You may remember Shawn Bradley as the 7-foot-6 center taken second overall by the 76ers who subsequently blocked a lot of shots but didn't do much else. 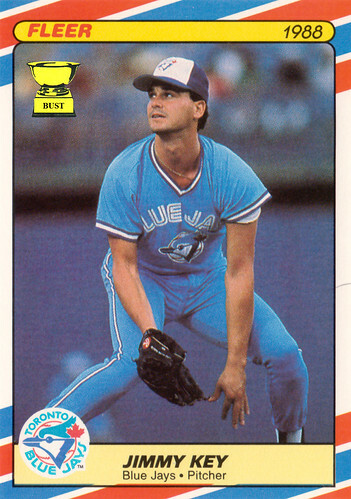 But Upper Deck remembers him as the guy who was so stiff that they could actually pose him, by hand, however they liked before taking photos of him. 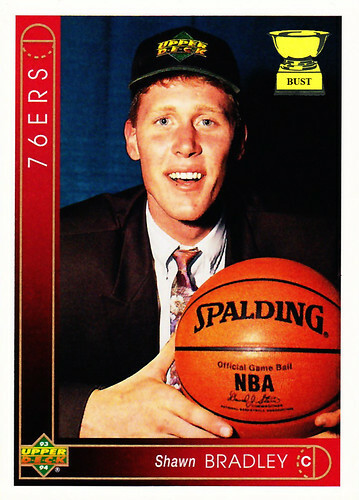 Here, they've sat him down, placed a basketball in his enormous hands and replaced his 76ers draft-day cap with an Upper Deck hat. Bradley's somber protestations, much like his professional career, mattered not. The card crew later replaced the basketball with a badger and the ballcap with a hat made of fruit for some more candid photos. Unfortunately, those, much like Bradley's professional career, never found the light of day. 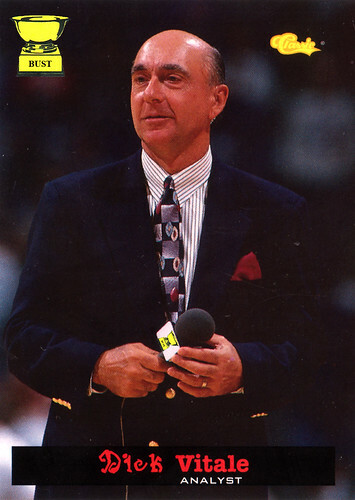 Just in time for the NBA Finals, Dicky V welcomes you to Another Freakin' Basketball Week: "Settle in, everybody, this week is gonna be awesome, baby! Sure, you won't see many PTPers, many diaper dandies, or anyone who's awesome with a capital 'A.' No chance, but I'll tell you what you are gonna see. You're gonna see something special, baby, you're gonna see some all-star mullets, you're gonna see some shorts riding up to places that aren't for the faint of heart, and you're gonna see some pieces of clothing that belong nowhere near a human body! That's right, including my own tie! It's a Dicky V special, baby, a real checkerboard atrocity! That's OK, though, because all my gold buttons and my shiny bald head will distract the opposition from noticing the Bust trophy on my microphone! These next seven days are gonna be incredible!" What kind of cereal included this card in one of its boxes? 5) The San Diego Chicken. Wait, that was Cecil Fielder. 1) You. Come on, admit it. Making it count: Rookie Cowboys receiver Percy Howard didn't play football in college, but because he was such a tremendous athlete, Dallas took a chance on him anyway, making him their third receiver. 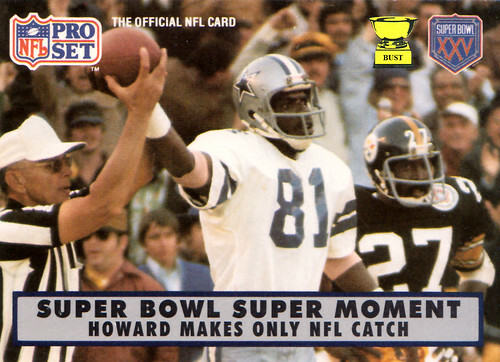 Of course, the offense ran only two-receiver sets, so Howard never got the chance to play until a key injury late in Super Bowl X. As seen above, he caught a touchdown pass the only reception of his college or pro career, as he was seriously injured the following preseason. You may think that's amazing, but here are some other one-time accomplishments Howard notched in his life. Made the Bust only once, but it was on the day you visited the site. And you're our most special visitor ever! 10) He bet he hadn't showered in three weeks. 9) He bet the only thing he "managed" was the 12-game parlay. 8) He bet that a Rose by any other name would still smell as sweat. 7) He bet his hair looked like stalagmites. 6) He bet bottom dollar — because he was broke. 5) He bet his arm hair could have been braided. 4) He bet dollars, ate doughnuts. 3) He bet he hadn't gotten a haircut in 16 months. 2) He bet on the Reds. Obviously, you should always bet on black. 1) He bet he would be betting by the end of the day. For once, he won. "To Sarah: Thanks for pointing out that my face is as red as my jersey. We can't all be as pale as you, you brat." "To Brian: It sure is dark out here. Please don't kill me." "Dear Charlie: No, rookie hazing does not involve 'servicing' Marge Schott or her foul dog. That's disgusting." "To Juliet: Your name is from Shakespeare, right? But soft, what light above my left shoulder breaks? It is a UFO, and we're all going to die." "Dear Jimmy: Hold on, I need to mug for the camera real quick." 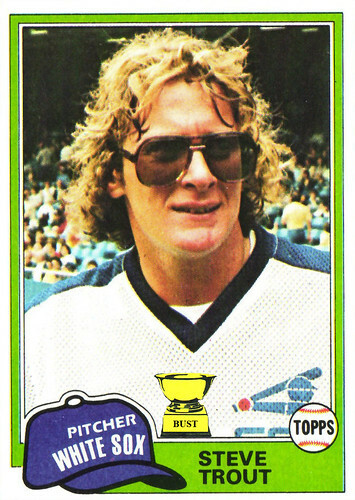 Master of disguise: Where have we seen Steve "Rainbow" Trout before? You're doing it wrong: OK, look at the words at the top of this card. Then look at the image. Notice anything missing? 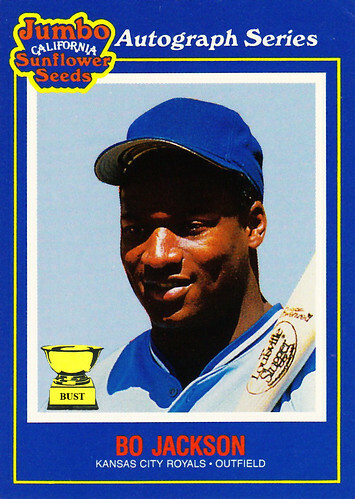 If you said, the Royals logo on Bo Jackson's hat, well, you'd be right, obviously. 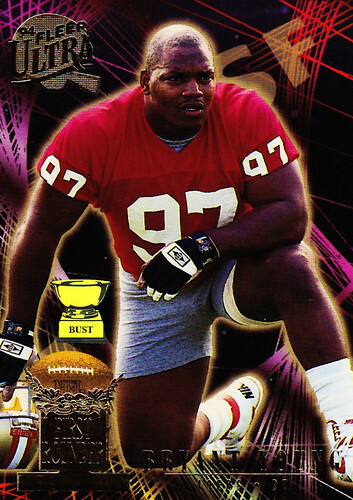 But most food-based sports cards in the early 1990s were required to make players look like they were in the witness protection program. 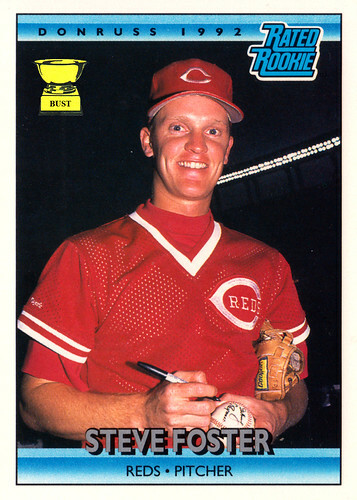 No, what we're going for here is that, for an "autograph series," this card seems to be suspiciously unsigned. 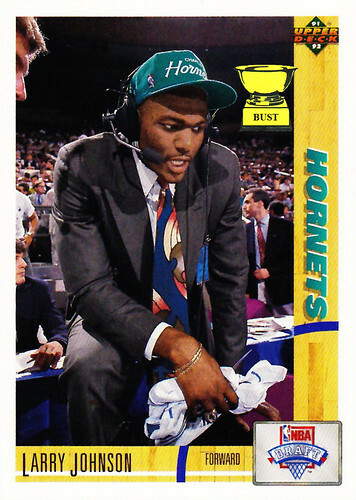 And while it's true that you could find Bo's childlike scribbling on the back of the card, what fun is that? Maybe we'll start signing the back of our credit card receipts and see how that goes over. 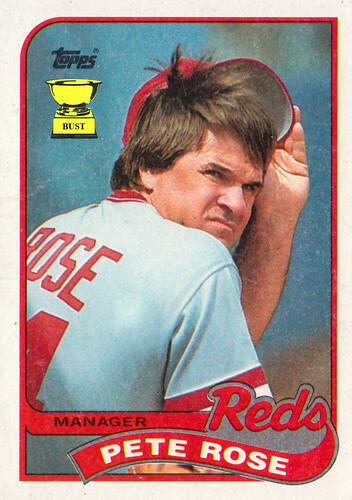 Seriously, this set would have been the worst thing to ever happen to sunflower seeds if not for this article. 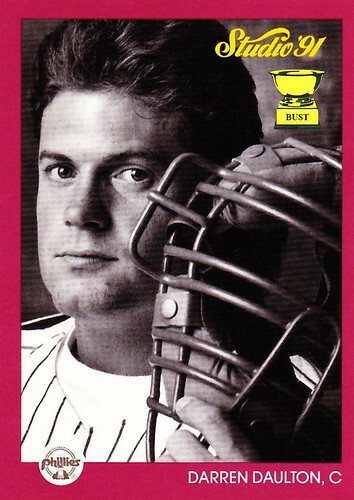 Why was Darren Daulton nicknamed "Dutch"? (A) He was a huge fan of the 1991 film starring Ed O'Neill that was reviewed as being "like 'Home Alone' but with Bart Simpson." (C) He lived the "dutch door" lifestyle: mind closed, pants open. (D) He like to pull the bed covers over teammates' heads and break wind. (E) He smoked really crappy cigars. Washington Redskins' scouting report on draft pick Tre Johnson: "This guy puts the 'offensive' in 'offensive lineman.' 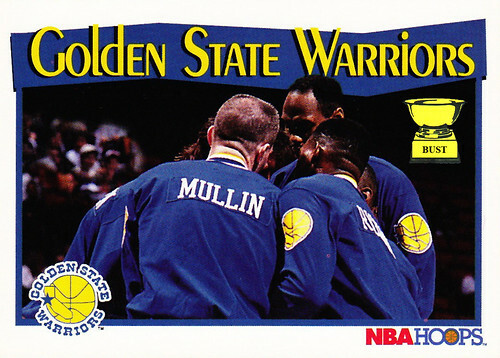 ... By the looks of this card, we can count on him to always be on fire. ... 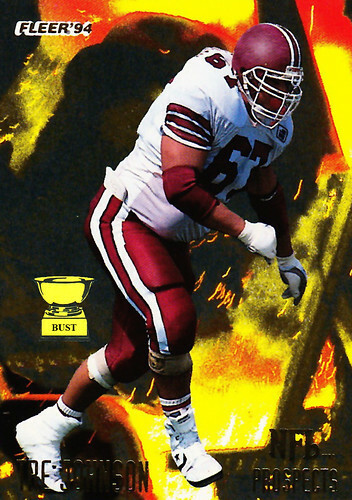 If this guy's face mask were any bigger OH MY GOD IS THAT A GIANT BABOON EMERGING FROM THE FLAMING MOLTON STEEL BEHIND TRE JOHNSON? HOW DID NO ONE SEE THAT GIGANTIC GREAT APE'S FACE PEERING FROM BEHIND THIS GUY AND INTO OUR SOULS? A BABOON! A DAMN BABOON! FLEER ALLOWED A BABOON TO GET ON A FOOTBALL CARD!"